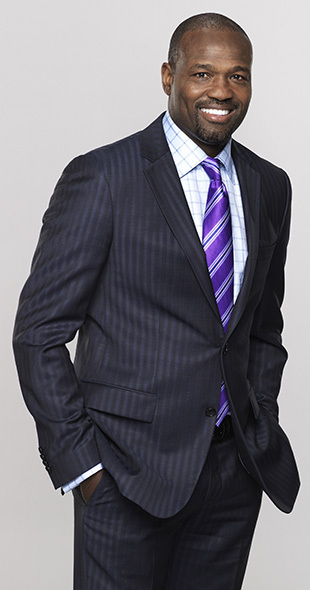 Harold Reynolds exemplifies success on and off the field. During his 12-year career as a Major League Baseball player, Harold spent 10 seasons with the Seattle Mariners and a year each with the Baltimore Orioles and Los Angeles Angels. As a Mariner, Harold was a two-time American League All-Star, a three-time Gold Glove second baseman and led the American League in steals in 1987. He is currently among the Mariners' career leaders in 10 offensive categories. Off the field, Harold is an Emmy Award winner who has covered every aspect of baseball from Little League to the pros since 1996. He is the lead studio analyst for MLB Network, providing nightly commentary on all Major League games and coverage for special events such as the Major League Draft, the All-Star Game and World Series. During his broadcasting career, Harold has consistently rated as one of the most popular personalities in sports television. Harold is also a noted humanitarian for his dedication to community service and his commitment to improving the lives of youth, Harold was honored as President George Bush Sr.’s 195th Point of Light, becoming the first athlete to receive such high recognition. In addition, Harold is the recipient of the Roberto Clemente Award and the Martin Luther King Jr. Humanitarian Award. Harold is the majority owner of HR4 LLC, a minority owned entity developed for the purposes of creating a combination of affordable and quality equipment for youngsters, providing opportunities for under-served youngsters through the sport of baseball and using his platform to promote the sport of baseball to today's youth..